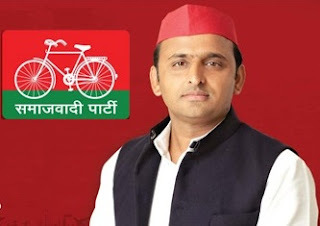 The Samajwadi Party will emerge as the single largest party in Uttar Pradesh but India's most populous state will have a hung assembly, exit polls after the final round of voting in the seven-phase assembly elections in the state predicted Saturday. An exit poll predicts a hung assembly in the assembly elections. The poll predicts Mulayam Singh Yadav's Samajwadi Party to be the single largest party with a tally of 160 in the 403-seat house, and 26 percent vote share. Mayawati’s reign in Uttar Pradesh seems to be ending in the Uttar Pradesh Assembly Elections after her inability to secure her voters' loyalties and Mulayam Singh's persistence in wooing the state’s voters this time around. According to a STAR News-Nielsen Exit poll, the BSP, which had bagged 206 seats in the 2007 Assembly Elections seems to have been left high and dry this time. The exit poll also predicts a revival of sorts for the Congress, however it is the Bhartiya Janta Party which is finishing third. This is a preliminary figure of the exit polls and exact data is awaited at 8:30 pm.